Our practice is founded on a commitment to a crafted response to contemporary life. Every client and site have a unique project in them; our job is to actively listen. We bring knowledge and sensitivity to proportion, light, materials and technology to draw out the best possible architecture at the intersection of client needs, site, climate, form, and budget. What started as a hobby for Heather Banks of Cary Paul Studios has turned into a boutique design company. After renovating and designing her own homes and "flipping" several homes, as well as helping clients redo their own residential and commercial spaces - Heather realized the satisfaction that comes from helping people live in spaces they truly love. I'm Charlie, a licensed architect based out of Austin, Texas. I studied architecture at The University of Florida and spent several years practicing architecture in New York before settling in Austin. I have over fifteen years experience working on all types of buildings and would be happy to help you with with your project . Bates Design Associates is an award winning, full service interior design firm. While we specialize in high-end interiors, we work on projects of all sizes. Residential and commercial interiors continue to be our focus. Principal, Kim Bates, ASID, CID believes in the process of design: Collaboration with clients, showing them what possibilities can become reality and then carefully planning to produce sophisticated, classically elegant and welcoming spaces. We believe in the science of beauty – elements which are common to all humans and promote not only physical beauty, but a sense of well-being. In addition, we trust high-quality products and workmanship, provide highly organized management and sensibly sustainable options. Understanding of architectural elements and a wide variety of styles helps us to pull together spaces that function well and look fabulous. Kim is a licensed and award-winning designer who has worked both in state and internationally. Her work has been published in a wide range of magazines and she has been selected as finalist in HGTV’s Faces of Design. 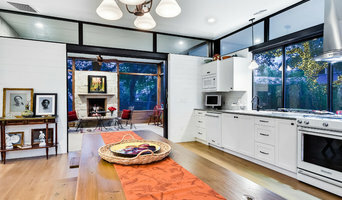 In addition, Kim is listed as one of the Top 20 Designers in Austin by Freshome.com. She has degrees in both business and interior design and has attended an interior design study tour in Europe. She is a charter Member of the Blanton Museum of Art, a member of the National Charity League, and takes part in the mentorship program at Westlake High School. She has served on the board of the Austin Community American Society of Interior Designers and the board of the Women's Symphony League. She enjoys running, golf, travel, reading and a wide range of volunteer activities. A full service design firm ranging from specification and space planning, to the supervision of extensive remodels, and the furnishing of residential and commercial interiors- to a roster of high-profile and celebrity clientele across the country. Our goal at Elliott Interiors is to help you realize your dream home. We create spaces that cater to the personality and lifestyle of each client. Whether you are looking to build your dream home from the ground up, remodel your existing home, or simply refresh a particular room within your home, we can help you. We will work within your budget no matter how extensive or simple your needs may be and will treat each project with equal importance. Collaboration is a key element in our approach, We ask a lot of questions and will listen to what you have to say. We take the investment you have made in our services very seriously. The outcome of this collaboration will be a successfully executed, stylish space which not only is comfortable and livable, but expresses who you are. Based in Austin, Texas with a satellite office in New York City, Collaborated Works is a custom architectural design and property planning firm specializing in commissioned private residences. As a full service design firm, we are involved in all aspects of the project, providing our clients with a turn-key project from start to finish. At the beginning stages of planning a large project, a feasibility study maximizes the future potential that the property has to offer. This allows clients the opportunity to see the project's full potential. In commercial & retail applications, the same study is prepared in order to show the possibilities of future growth and be used as a tool in contract negotiations. Collaborated Works works to explore the program & constrains of every project and sees each project through from the beginning to the end. In the beginning, Collaborated Works consults with the Client/Owner to establish criteria for the Project. For all Design as requested by the Client/Owner, Collaborated Works prepares 3D massing models, preliminary plans as needed and studies to establish the design concept and which will suggest the types and qualities of finishes and materials to be used and which will illustrate the scale and relationship of the Project’s components. Prior commencing Phase II: Final Design Phase the Client/Owner shall approve the Preliminary Design. Collaborated Works provides full drawing sets with furniture plans, interior and exterior elevations, electrical and lighting plans, DOB set, Bid set, construction documents, and spec book, which includes plumbing, lighting, appliances, hardware etc. As a design build firm, Collaborated Works oversees all aspects of construction and with work with Client/Owner in the selection of a General Contractor whether or not Collaborated Works is handling the construction of the project. Collaborated Works provides construction site observation as required by the project. and prepares and coordinates the final Punch List pursuant to the completion of construction and installation. NR Interiors offers complete Interior Design services and can help you navigate the architectural, building, and remodeling process with ease and take care of your custom furnishings with a clear focus on meeting all of your individual design needs. We design contemporary homes with special custom details personalized for our clients. Owner, Nicole Roberts Winmill, has experience as a construction project manager for a luxury home builder, giving her the advantage of a firm understanding of construction requirements and lead to her OCD in providing detailed documentation for her proposed designs. Nicole is a member of the American Society of Interior Designers and the National Kitchen and Bath Association to elevate her designs by keeping updated on the latest trends and newest products. She received her Bachelors in Interior Design from Texas State University. She nearly went to school for forestry, but made the right decision for Design since she is still passionate about it even after 20 years in Interior Design. A bit of a nature girl, she geeks out over the quality of beautiful wood and is always incorporating natural elements into her designs to add balance to today’s modern homes. She loves all things outdoors and artsy. We're a design firm in Austin, Texas focusing on residential and commercial interior design and residential renovation and remodeling. We are passionate about creating spaces with soul, reflective of those who live there, with the budget in mind. Please let us know how we can help create an amazing space for you. J Square Architecture LLC is a full service architecture firm committed to design integrity. Founded in 2007, the firm has developed a local reputation for excellence in commercial, residential, interior design and land development. The Firm provides professional services for development, new construction, remodel, addition, interior design, and restoration for commercial and residential projects. We design buildings to utilize natural resources wisely, respond to the unique features of their sites sensitively, and reduce reliance on non-renewable energy sources in their operations. We feel it is important to respect our architectural roots and promote an optimistic outlook on our future with a sense of sophistication and progress. When given the opportunity, we embrace the Central Texas material and space planning palate with a modern aesthetic. 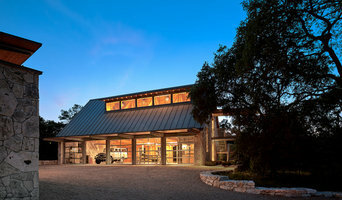 Maintaining this indigenous undertone gives our building a sense of place congruent to the central Texas landscape. Our experience includes urban infill in the established Austin neighborhoods, The City of Westlake Hills, the City of Rolling Wood, several of the premier outlying communities, and properties under the jurisdiction of Travis County and LCRA. We are well versed in the federal, state and local codes and ordinances regulating our architecture and accessibility. CKC Custom Homes is an award-winning, family-owned custom home builder serving the thriving San Antonio area. CKC Custom Homes dedication and knowledge of exclusive construction and design elements make the homebuilding experience deeply satisfying. Their foundation is rooted in their personal relationship with the home-owner. They surpass clients expectations with a genuine understanding of both the client’s needs and ambitions. CKC recognizes that a luxury custom home is the perfect way to celebrate success. Cerulean Concepts is a full-service Interior Design and Project Management company based in the Austin, Texas area. 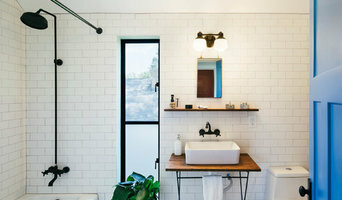 Specializing in design solutions for new construction and remodels, as well as interior furniture and accessory styling. Details run through the core of the company with the belief that even the smallest details can create a huge impact to any space. 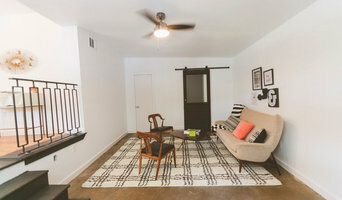 Founded by the Leander, Texas couple, Lindsay Cerilli and husband, Matt, Lindsay brings her Bachelor’s Degree in Interior Design and experience in new construction finish selections having worked with some of the top builders in Austin, Texas as well as the Washington D.C metropolitan area. Some of the Builder and Design + Build firms Lindsay has worked with include Partners in Building, Emerald Homes, Jimmy Jacobs Homes, Wes Peoples Homes, Highland Homes, Exclusive Builders, Sandy Spring Builders, and Carnemark. Lindsay’s personal style of clean-line and timeless has developed after studying Interior Design abroad in Europe and her love for Austin’s hill country contemporary style! Lindsay enjoys traveling and discovering design inspirations to bring back to her clients. On weekends you will find her checking out Austin’s newest model homes with her husband and walking their dog around town. To get started, contact Cerulean Concepts to discuss the details of your project!